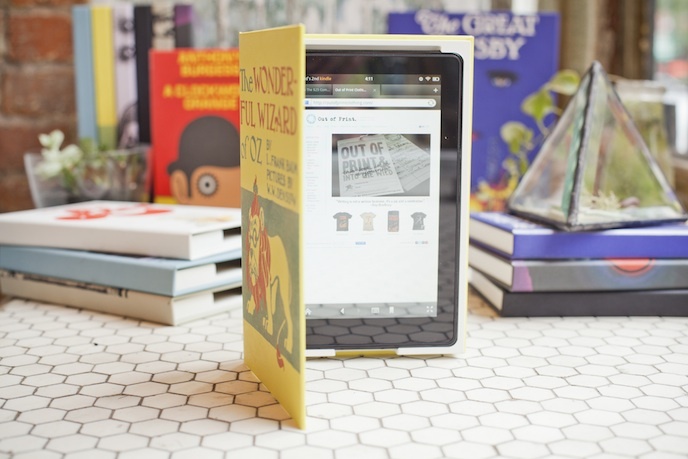 Cool find of the day: Ebook Jackets! The only problem is what book cover to choose. The project is called Kickstarter and you can check out the other titles they would be using for their launch there. Super exciting! I’m torn between The Great Gatsby, Alice in Wonderland, and Pride and Prejudice. If they would be making one for The Adventures and Huckleberry Finn and The Tales of the Jazz Age, I’d have an even bigger problem.